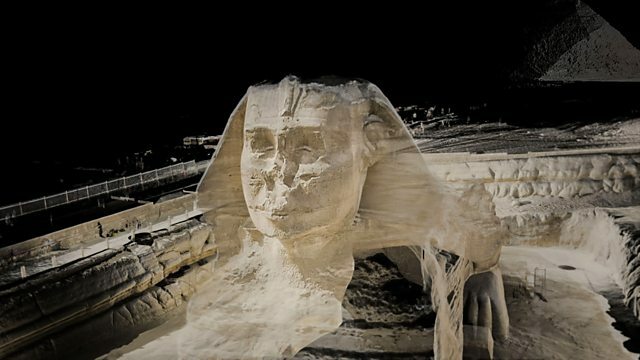 Dr Michael Scott uses the latest 3D-scanning technology to reveal the historical secrets of Cairo and Ancient Egypt. He explores the first pyramid ever built at Saqqara and finds out how it helped inspire the Great Pyramid of Giza. The 3D scans confirm just how accurately the Great Pyramid was designed and constructed. Michael also investigates the sphinx to try to determine which pharaoh it represents. But the history of Cairo is not only about the Ancient Egyptians. Michael goes in search of a Roman fortress hidden under a Greek Orthodox church. He also attempts to descend a 90-metre well carved into solid bedrock beneath the Arabic citadel built by Saladin in the 12th century AD. This remarkable well was built by Crusader prisoners of war, and provided the citadel with water in times of siege. Along the way Michael discovers that the Ancient Egyptians had built their capital, Memphis, close to where Cairo now stands on the banks of the river Nile. This evolved into a Roman fortress called Babylon. And finally the Arabs founded a city called Cairo. Today, it is the largest city in Africa. Three incredible locations as you’ve never seen them before.